→What Is Empower Network About – Does It Still Works? What Is Empower Network About – Does It Still Works? Is Empower Network A Pyramid Scheme or A Scam? What exactly it is? Let’s me revealed more in this article if you have no idea what it is. In short, Empower Network is one of the more popular multi-level marketing (MLM) schemes of the past five years. It was founded by David Wood and David Sharpe. The company says it combines MLM with network marketing and internet marketing to enable its members to earn money online. How Does Empower Network Works? Members receive online marketing and professional development training along with professional software and tools to become more active with their own websites. Members also receive up to 70 percent in commissions from marketing products they sell in their sphere of influence. #1 Viral Blogging System— for a monthly fee of $25, you can set up a high authority blog. According to Empower Network, the blog is easy to set up and can attract many visitors. It is a plug and play, ready-to-start blogging platform. Anyone can start a blog whether for personal or business use with this system. Another main selling point is the price — a $25 fee is considered low for maintaining and hosting a blog. #2 Viral blogging Academy— this is a video course that teaches members how to monetize their viral blogging system. This one has a one-time fee of $297. It’s designed for newbies who have no knowledge at all about blogging and getting income from it. #3 High Ticket Academy— priced at around $500, this is a series of webinars that teach members how to close customers on high ticket sales. #4 Inner Circle— this is essentially a library of interviews and stories from some of the top performers in the company, to inspire members who also want to earn well. Access to this library entails a monthly fee of $100. #5 Master’s Course— for a one-time payment of $3500, you can get an advanced training with courses on email marketing, niche marketing, and perpetual marketing, among others. In the event that you join Empower Network, you’ll be taught how to set up your own blog through its Viral Blogging System. Then you will have to market their core products to other prospective members. If you are successful in convincing them to join Empower Network, they’ll be your “down lines” from which you get commissions and their future sales. Because of the complicated compensation plan of Empower Network, the system is best suited for people who have previous experience in MLM. Empower Network offers training and motivational audios and videos to train and motivate their members, so they can also sell the product to potential recruits or downlines. The Empower Network’s website is where you should go if you need support. It has an FAQ section as well as knowledge base which members can access if they need to get enlightened on a particular topic or subject. Members can also send an email to the Empower Network customer service team, with the response usually coming within 24 business hours. Pro #1 It offers very high commissions of up to 70 percent, higher than the usual 20 to 40 percent. Pro #2 There are no physical products sold. Con #1 High initial costs. With Empower Network, you stand to shell out at least $150 a month and up to $5,000 for one-time payment. Con #2 There’s no guarantee that the blog you set up under its Viral Blogging System will rank highly by Google. For one, the blogging system makes use of themes and templates that are very similar to each other. There are also lots of cases wherein the blogs have duplicate content. Con #3 It has been banned by Facebook as a spammer, so it is now even harder for Empower Network members to recruit downlines on the popular social media site. Empower Network had its heydays three to four years ago. Since then, recruiting new members has become a lot harder as people realized that this is basically a pyramiding scheme with the e-products used as a ploy in marketing the program to unsuspecting individuals. Making things more difficult for members of this program is that Facebook has banned it. This further makes it harder for members to get new recruits. Also, Google has cracked down on blogs that employ the same themes and templates that the Empower Network viral blogging system uses. This results to lower search result rankings and subsequently, traffic for blogs powered by the Empower Network. Finally, it doesn’t help the Empower Network that it charges very high fees for its members. It may also offer high commission but the initial cost of investment is too high for most new members. In short, Empower Network has seen its better days. It may have been a hit three to four years ago but it is no longer that viable a program for people who want to earn online. There are a lot more online business opportunities that you can get into, without having to shell out a fortune. Take for instance, the Wealthy Affiliate. This online affiliate marketing program has been in existence since 2005. That alone speaks loudly of how viable this program is. In this program, you’ll learn how to build a niche website. Your website will then promote affiliate products and services, from which you will get a commission. You don’t need to be a skilled web designer to build your own website in this program. The system is designed in such a way that even newbies will be able to launch their own websites. 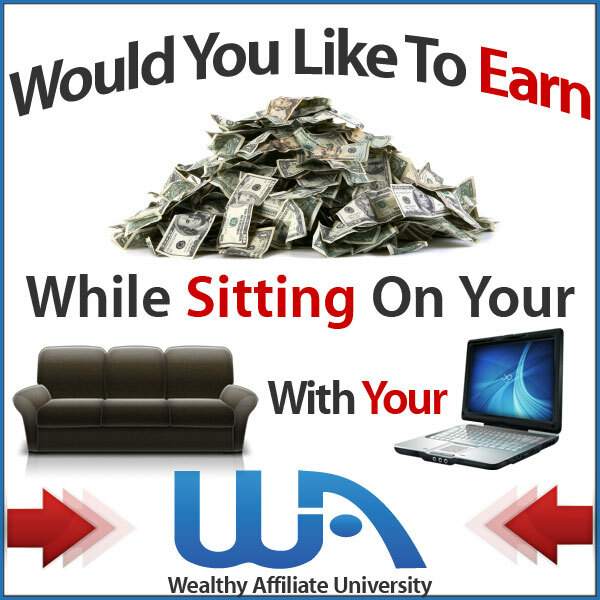 Plus, you will get a lot of support from other the Wealthy Affiliate members. Moreover, you don’t have to shell out a lot of money. It offers a free trial. So why don’t you try this instead of the Empower Network? The choice is really up to you and if you trusted me and really wanted to succeed then you should Join Me instead. It come to the end and do you have comments about Empower Network? Let’s discuss by leaving your thought below.